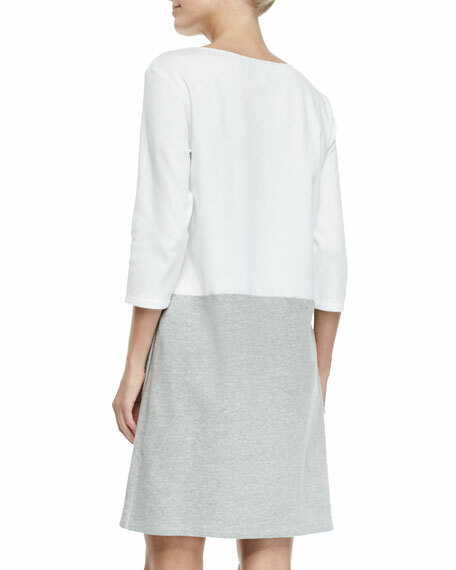 Joan Vass colorblock interlock knit dress. Approx. measurements: 34"L shoulder to hem, 36.5"L center back to hem. Side zip at left hip. Wrap skirt with tulip hem. For in-store inquiries, use sku #2575626.